The Tairyuji Temple Rope-way was built in 1992 to provide easy access to the 21st temple on the Shikoku 88 Temple Pilgrimage. 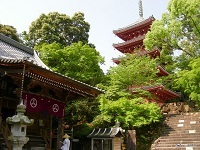 The temple is rather difficult to get to just by walking, making the rope-way a great alternative to reach the top. Tairyuji Temple has faced many difficulties, including destruction, typhoon damage, and more, but stands resilient with enormous trees and many Tangible Cultural Properties of Japan. Among the list include the: Main Hall, Kōbō-Daishi Hall, Hexagon Sutra Hall, Treasure Stupa, Entrance Gate, and Bell Tower Gate. 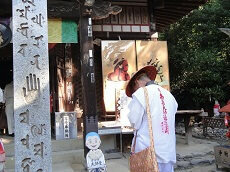 Tairyuji translates to Great Dragon which is rather appropriate with the atmosphere of the temple. 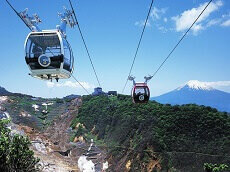 Tairyuji Ropeway is the longest rope-way in western Japan, spanning over 2.7 kilometers (1.7 miles). The scenic ride lasts for about 10 minutes between the two stations. 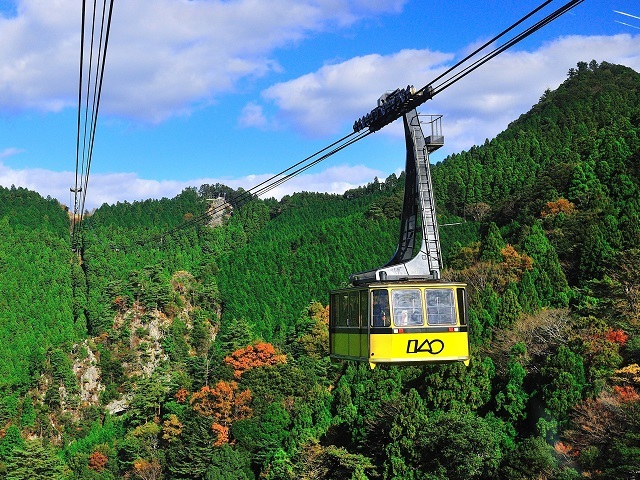 Guests are encouraged to relax and enjoy the scenery, or take pictures as they climb up the mountain. 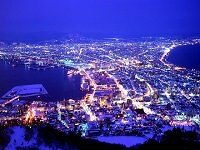 The spectacular view before reaching the mythical temple only adds to the excitement when partaking on the Shikoku 88 Temple Pilgrimage. 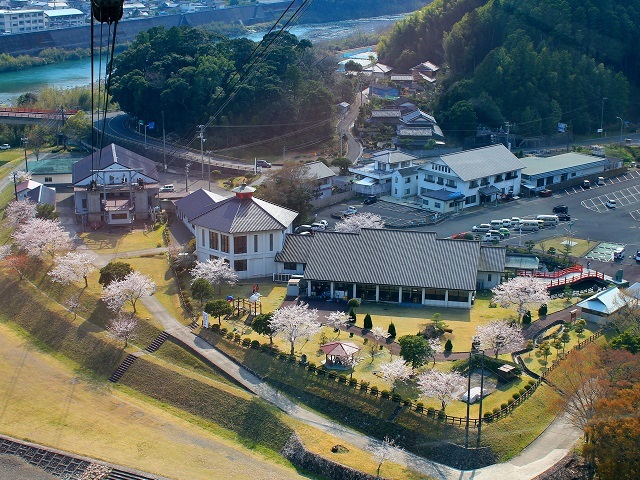 For those looking to complete the Shikoku 88 Temple Pilgrimage after our Southern Japan tours, the Tairyuji Rope-way is a great way to reach temple #21!